Coffee is one of the most beloved beverages in the world. It can give a boost of energy but also has a number of other benefits that might surprise you. One of the greatest benefits of your cup of morning joe is that it can actually lengthen your life. At the same time, there is a lot more to it than that. Your favorite brew can provide several anti-aging benefits that can increase your life expectancy through the health benefits that it affords. 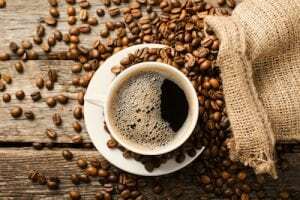 Reduces All-Cause Mortality: Researchers studied the habits of 120,000 men and women in good health regarding their intake of the hot beverage and examined their health outcomes over time. They found that those who consumed the brew did not show an increased risk of all-cause mortality. The drinkers also showed no increase in the risk of cardiovascular disease. The study included decaf, which means that these benefits aren’t just limited to caffeine. Cools Inflammation: According to another study, both regular coffee and decaf can benefit the health of individuals with diabetes by cooling inflammation. It was discovered that a simple cup of joe did not negatively affect the health of the blood vessels and instead helped to cool inflammation. Lengthens Telomeres: It was found in a study that drinking more brew can lengthen telomeres, which are the ends of chromosomes in DNA. If the telomeres are longer, the individual can look forward to a longer life. Reduces the Risk of Cancer: Another study determined that drinking joe benefits one’s health by preventing various cancers. When coffee was consumed regularly, the chance of melanoma, colon, liver, mouth, endometrial and prostate cancers was reduced. Cancer is a disease that is well-known to shorten a person’s life span. 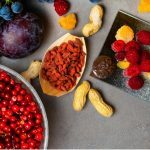 Supports Healthy Microbiome: That daily cup of java is also a good source of polyphenols, which are chemicals that can benefit gut health through good bacteria. When your gut bacteria are healthy, your blood sugar is healthier. In turn, this can help to control inflammation and flare-ups associated with a variety of autoimmune disorders. Although there are definitely benefits, certain groups of people should avoid consuming too much coffee. Individuals with slow metabolisms, children, and women of childbearing age should limit their intake to no more than six milligrams per kilogram of body weight. Drinking more than this amount can increase blood pressure, cause insomnia, change a person’s behavior, and even negatively impact women’s fertility. Generally, no more than two cups of joe per day are recommended, and the intake should be limited to before lunchtime. In addition, taking a break from drinking coffee one day per week can help prevent the forming of a habit. These benefits outline why that morning cup of joe can benefit your health. The anti-aging properties are well worth consuming at least the daily minimum.